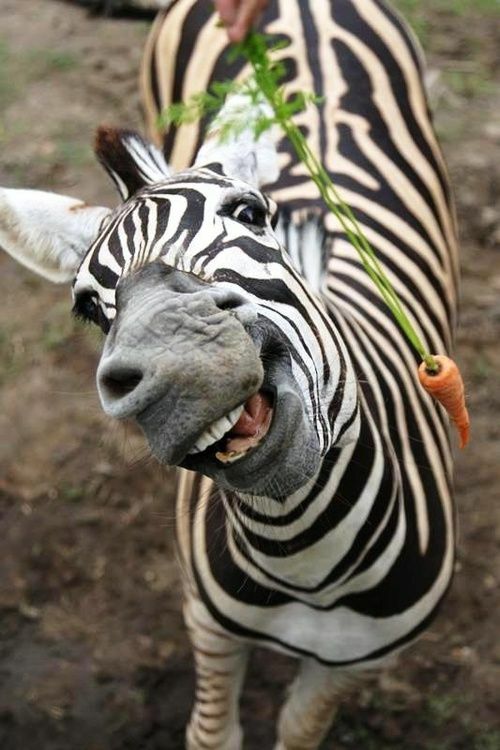 I plan to reward myself with candy, but this zebra seems pretty happy about a carrot. 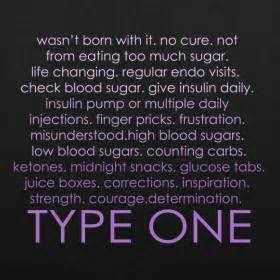 This week my nine-year-old niece was diagnosed with type 1 diabetes after a rather harrowing trip to and stay at a children’s hospital. She’s doing well now, and her and her family and adjusting to life with this disease that requires exacting management. I’ve been reading about the disease and came across this on Pinterest. It seems there are a lot of misconceptions about type 1 diabetes, which is an auto-immune disease unlike type 2 diabetes. Xanthan gum is a great ingredient to use in gluten-free food, with a few caveats. First, you only want to use a small amount or you’ll be subject to it’s laxative qualities. The good news is that you only need small amounts to use as a thickening agent. Second, it is sometimes derived using wheat. In most cases, the amount of residual gluten is so small as to be negligible. However, if you are very gluten sensitive, make sure you know the source of your xanthan gum. While I don’t eat exclusively gluten free, we generally limit consumption in our household. 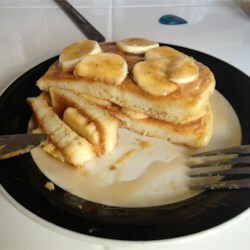 I’ve found I actually prefer this pancake recipe to the gluten-filled variety I used to make. Sift together dry ingredients. Add wet ingredients and stir until few lumps remain. Cook like any other pancake. Some of us can accept others right where they are a lot more easily than we can accept ourselves. We feel that compassion is reserved for someone else, and it never occurs to us to feel it for ourselves. My experience is that by practicing without “shoulds,” we gradually discover our wakefulness and our confidence. Gradually, without any agenda except to be honest and kind, we assume responsibility for being here in this unpredictable world, in this unique moment, in this precious human body. One more double duty post for the month. Today I’ve got seven paragraphs from Monica’s Match. Monica has a fear of heights, and Jeremiah is helping her down a steep embankment–and helping her achieve victory over her fears. “Yeah, I am.” Her laugh came out half-choked, but he admired that she held it together. She hesitated and then nodded. “On the count of three. One. Two. Three.” She shut her eyes and half leapt, half fell into his arms. She barely weighed more than a newborn calf. He hugged her against his chest more tightly then he needed, relishing the feel of her softness. Too bad he hadn’t suggested swimsuits for this excursion. “Got you,” he whispered.